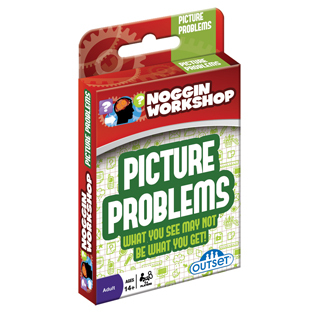 NOGGIN WORKSHOP™ Picture Problems card game makes brain training fun! Train your brain with this visually intriguing assortment of pattern recognition, geometrical, and mathematical riddles. It's not what you know, it's how you think! Item # 16003 Weight 0.30 lbs.